Korean shipbuilders continued to struggle in the third quarter, despite hopes of the market recovering after they started inking orders earlier this year. 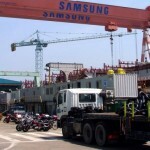 Samsung Heavy Industries posted 127.3 billion won ($113.2 million) of operating losses in the third quarter, still in the red for the fourth consecutive quarter, according to company filings last week. Considering it had posted 100.5 billion won of losses in the second quarter, the situation for Samsung has continued to deteriorate. Its revenue tumbled by 25 percent on year to 1.31 trillion won. A spokesperson from Samsung Heavy said the company was burdened with high fixed costs like sales and administrative expenses as well as increased material costs. One-off cost of around 90 billion won incurred due to recent wage negotiations also hurt the bottom line, according to the shipbuilder. The company has inked orders to build 41 ships worth roughly $4.9 billion this year as of October, but that does little to help as it takes one to two years before orders are reflected on the balance sheet. Shipbuilders get most of their payments when ships are delivered. 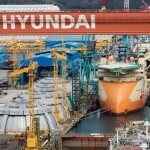 Hyundai Heavy Industries also reported its earnings for the third quarter on Wednesday. The company posted 3.24 trillion won in consolidated earnings, down 5.4 percent year on year. Its operating profit plummeted by a whopping 57 percent to 28.9 billion won. Compared to the previous quarter, when the company posted 175.7 billion won of operating losses, it has managed to turn around and make a profit. 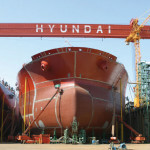 Hyundai owed the turnaround to a newly-signed change order contract in its offshore plant business. 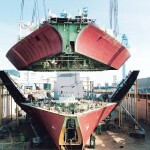 Its shipbuilding division continued to struggle, posting 304.6 billion won in losses. It is a steeper fall compared to the 144 billion won loss it posted in the quarter that ended in June. Despite inking orders to build 135 ships worth $11.1 billion until the end of October, achieving 84 percent of its annual sales target, the company cited rising material costs, high fixed-costs and one-off costs to reserve compensation for construction losses as major reasons that pulled down earnings. 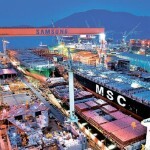 Daewoo Shipbuilding and Marine Engineering is expected to report its third-quarter earnings in mid-November. Analysts project that the shipbuilder will post a profit, but about 30 percent less compared to a year earlier. Shipbuilders are desperately looking for ways to cut costs as the industry continues to see poor results. DSME, for instance, is reducing its workforce according to a turnaround measure it submitted to creditors in 2016. Under the measure, the shipbuilder cut the number of employees from 13,199 at the end of 2015 to 9,960 in June. The original plan was to cut the number to below 9,000 by the end of this year, but it hasn’t made an announcement on it yet. It is likely that the company will unveil its plan in a press conference scheduled next week. Samsung also needs to let roughly 2,000 more employees go by the end of this year based on the original turnaround plan it submitted to creditors in 2016. Hyundai has been taking voluntary retirements since 2015. 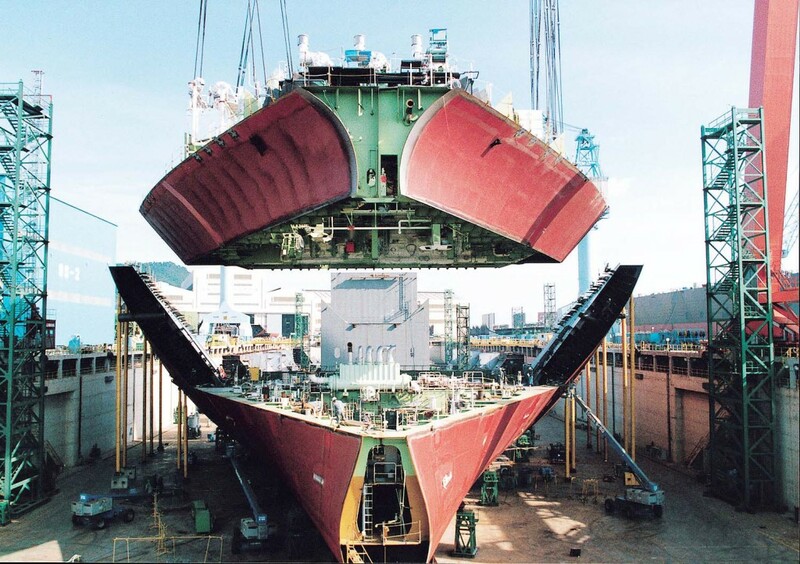 Still, with all three shipbuilders inking considerable orders this year, including DSME that won orders to build 35 ships worth $4.6 billion, the future is not so dim.